Daintree Rainforest is unspoiled by artificial structures and other impediments that are typical of mainstream visitor-management. This triumph of natural wonder and awe-inspiring beauty reveals hidden riches and inspirational insights. High quality guided interpreted walking tours showcase unique biological diversity and exceptional rainforest integrity. There is no better way to successfully engage with such elusive complexity and intricacy than through the guiding expertise of long-term human inhabitants. This vitally important extra dimension, which all but half-a-percent of visitors that cross the Daintree River ferry fail to engage, draws from the rainforest, its human voice and the intellectual property of generations of attentive inhabitants. Daintree Rainforest access is available to discerning travellers through either a 2-hour Grand Fan Palm Gallery Tour or the 4-hour Greater Wilderness Experience. Experiencing Daintree Rainforest with a local expert explains why this privately-owned rainforest was compulsorily inscribed onto the World Heritage List and why Australia’s World Heritage prospects were substantively enriched with its strategic inclusion. Participation also ensures that your payments contribute to conservation and protection of a global treasure. Maintaining the natural integrity of the World Heritage landscape means that access is NOT universally available and may be unsuitable for some with mobility limitations. Wildlife sightings are also unpredictable, so participants must accept the risks of a genuine wilderness experience. Long-term human inhabitancy has accumulated a unique collection of faunal, floral, fungal and panoramic images to showcase a wealth of defining Daintree Rainforest attributes. An excellent insight into our heritage rainforests. You come away with a deeper understanding of its beauty, the interdependence of plants and animals and gratitude that this family is there to care for this part important piece of our world. Also saw a cassowary. Amazing. Tremendous knowledge and lively explanation of forest, nature and its relation to mankind was stunning. A perfect narrative while walking through the wood. Having left Australia three weeks ago, stories are still present and give me plenty to think about. Recommend to give the longer tour the edge. It will allow yourself enough time to fully immerse into the impressive surroundings! Very recommended! This is what you want to do when trying to avoid the typical tourist activities! This was a huge awakening about the diversity of a very ancient….millions of years old … brief introduction to the evolution of nature. Gob smacking experience. To not go here would be an injustice to your senses. 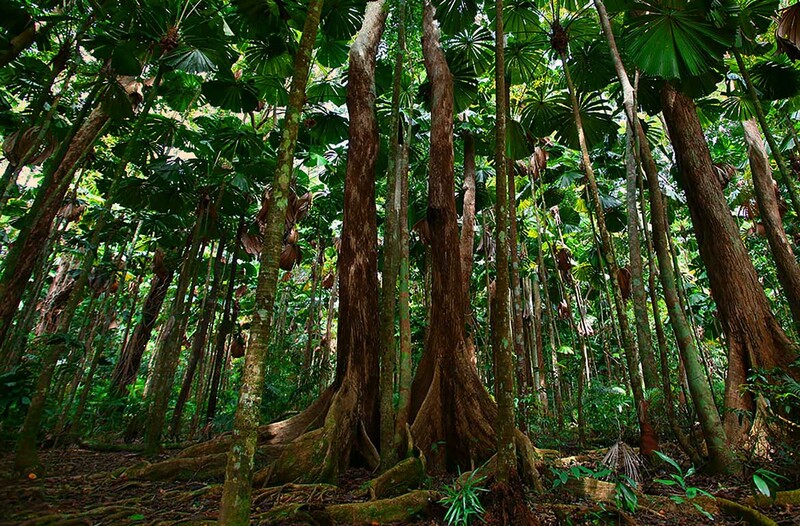 When it comes to Daintree Rainforest knowledge, we’re proud to say that we are different! From our long-term human inhabitancy, we have accrued a greater breadth and depth of understanding, which translates into more holistic presentation.